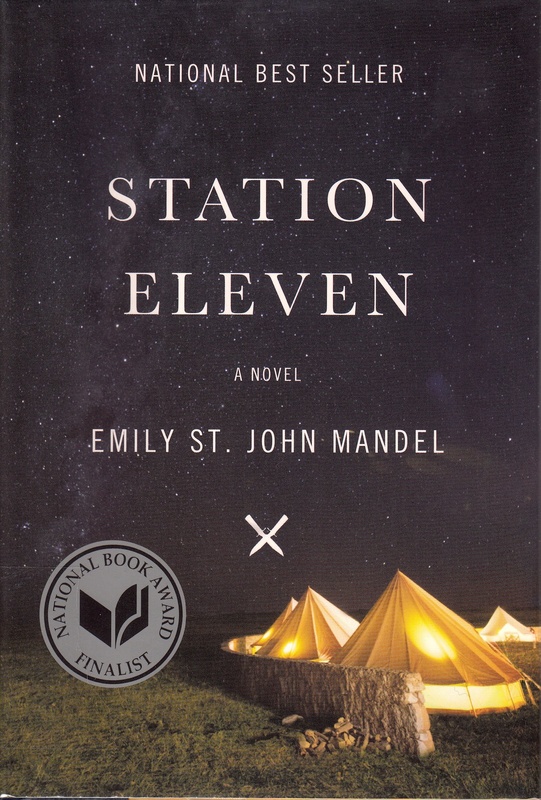 Station Eleven is three stories in one. It follows the lives of three people, before, during, and after a plague – the Georgia Flu – kills 99% of the people on earth. (Georgia the former Soviet Republic, not Georgia the state.) The pre-plague storyline follows an actor as he gets famous, and one of his wives. The during-the-plague story follows the paramedic who tries to save the actor who has a heart attack on stage the night the plague breaks out. The post-plague story follows the child actor who was on stage with the actor that night. It takes place 20 years after the Collapse (as it’s known in the book). I can’t stop thinking about Station Eleven. I finished it almost a week ago, and the characters are with me. I think about Miranda, who wanted to be an artist; I think about Clark, with his museum; I think about the Frenchman stranded in Michigan starting a newspaper; I think about the lack of entertainment and information; I think about how tough Kirsten is; I think about Jeevan stockpiling food as fast as he can; I cannot stop thinking about becoming a survivalist – what if a flu came that killed people in 24 hours. How fast would it spread? Could I survive? What would life be like afterwards? How would we all react? There’s a scene where a person finds a group of people living in an airport. He starts crying, they ask him why. “Because I thought I was the only one.” It breaks my heart thinking about it. If I could give a copy of Station Eleven to everyone I know, I would. It’s that good. Previous Previous post: What’s your purpose?